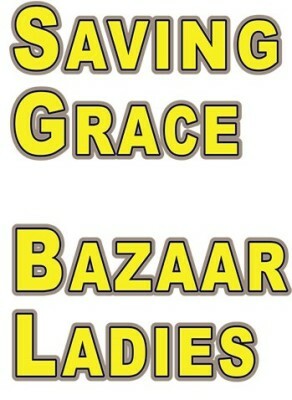 The Saving Grace Bazaar Ladies would like to thank everyone who attended the bazaar on Nov. 3. You made it the biggest one in our history. 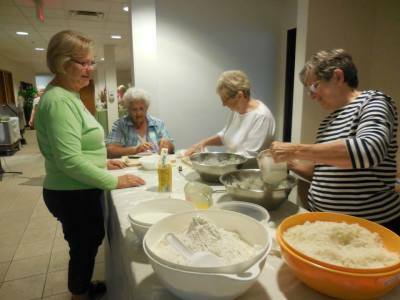 "The Mission of the Bazaar Ladies of Saving Grace Lutheran Church in Eau Claire, WI is to extend friendship, fellowship and faith; to use our talents and resources to support programs within the church; to support our pastor(s) and staff in their mission; and to increase awareness of our congregation in the community through hosting yearly activites to which the public is welcome." 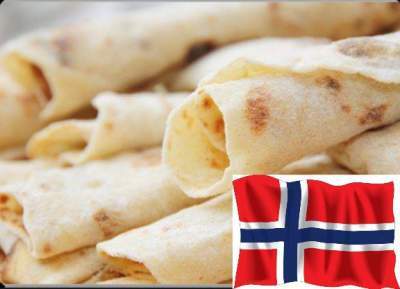 The making of Lefse goes on most of the year and is sold out in the first hour of the Bazaar which takes place on the first Saturday in November. Church president Kevin Otto draws the winning ticket for the quilt. 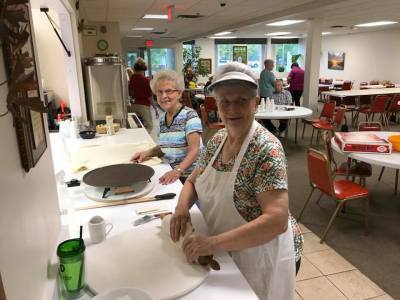 Interested in Saving Grace Lutheran Church ? page showing all of the ongoing activities. 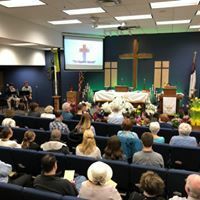 We also offer Live Streaming of our Sunday Services. Everyone is Welcome.